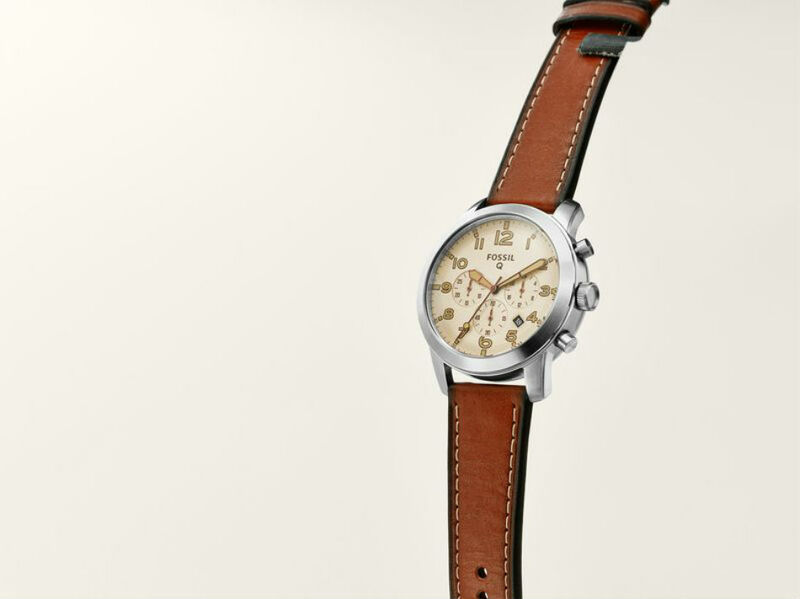 Fossil announced the newest addition to its Q connected wearable lineup this morning, the Q54 Pilot. Unlike a normal smartwatch with a digital display, the Q54 Pilot features a traditional, analog look. When synced with your smartphone via Bluetooth, the watch is able to deliver buzz notifications and LED indicators for when a favorited contact is attempting to get a hold of you. Not only can you be informed of incoming notifications, but the Q54 Pilot can also count your steps, as well as calories. However, with no digital display, all management of notifications and fitness is handled directly from a smartphone via the Fossil Q application. An update for the Q app will allow users to customize vibration patterns for notifications, plus other new features. The Q54 Pilot will launch in early spring, priced between $175 and $215, depending on strap options. LG's CES 2016 Press Event Kicks Off at 8AM, Watch It Here!